On Roe v Wade anniversary, build the movement, fight for women’s rights! The following is a statement from the Breaking the Chains editorial team. Forty-six years after the Roe v Wade decision recognized that a women’s right to abortion was protected by the 14th Amendment to the Constitution, access to abortion remains severely limited. For the anniversary, Refinery29 posted a state-by-state map that illustrates how a range of restrictions limit access to abortion in a majority of states. The map depicts the results of a coordinated right-wing offensive against reproductive rights. It also shows numerically how fake crisis pregnancy centers far outnumber genuine abortion providers in most states. There has been a major push to legitimize the centers, which are yet another way to deny women access to reproductive health care. The anti-abortion centers engage in deceptive and dishonest manipulation in order to undermine reproductive rights. They are not true medical centers, and even those with certification provide limited medical care. In a five to four decision in National Institute of Family and Life Advocates v. Becerra on June 26, the U.S. Supreme Court held that deeply held religious beliefs of those running centers were undermined by a California state law requiring the centers to inform clients if they are uncertified, or, if certified, to post information about state providers of free and low-cost abortion, contraception and prenatal care. From 2011 to 2013, more restrictions were placed on abortion access than in the 10 previous years combined. This period launched a reactionary offensive that seeks to erode Roe v Wade and ultimately undermine reproductive rights entirely. They do not restrict their targets to abortion but have targeted access to birth control as well. 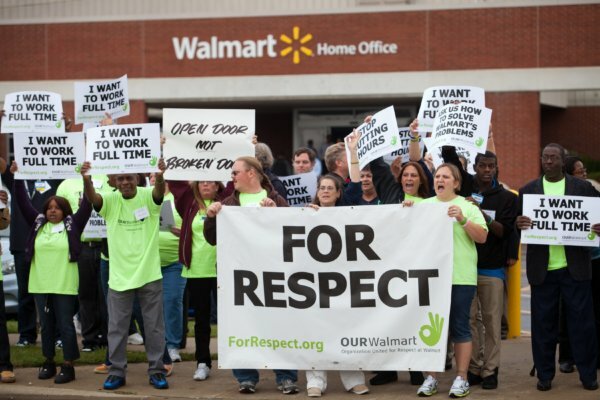 The sexist, racist and anti-worker Trump administration came into existence in this context and has only served to empower and embolden the most reactionary forces in society. In 2018, Trump was the first U.S. president to address the March for Life in person, though not the first to address the gathering, as both Bush and Reagan did that. None of these attacks have gone unnoticed by the women’s movement. The day after Trump was inaugurated, millions of people marched for women’s rights in cities across the country, a march that has become an annual event. A year later the #MeToo movement swept the country. From Hollywood stars to McDonald’s workers, women spoke up and organized against what is truly an epidemic of sexual harassment and assault. The historic Roe v Wade decision was a victory of the militant women’s movement. Sarah Weddington, one of the lawyers who argued the case, was an activist who organized for reproductive freedoms for many years after the decision. The women’s movement was active in so many ways. The social movements against war, for civil rights, for Black liberation, and for LGBTQ rights all powerfully reshaped society’s views and confronted oppression and exploitation. The women’s movement at the time was part and parcel of those wider social movements. In this era of the Trump agenda, right-wing forces that want to strip women of the rights we have won and are also pushing a racist anti-immigrant, anti-worker agenda have been emboldened. We must look to the gains and defeats of organizers and movement builders before us to learn what is necessary to confront this reaction. What is needed? We desperately need that militant, independent force created when the status quo is no longer acceptable, when people march into the streets and refuse to bow to the demands of the reactionaries or the misleading guidance of the Democrats. 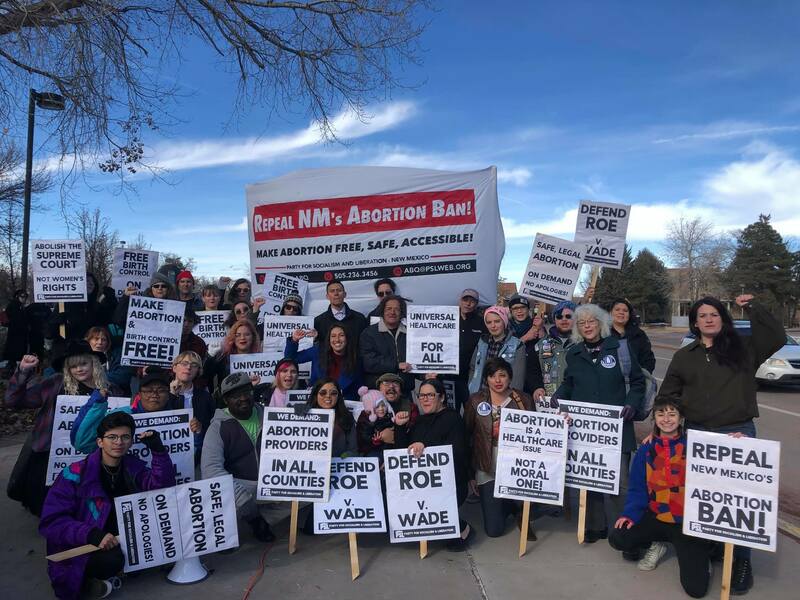 On the anniversary of Roe v Wade, Breaking the Chains salutes all of the people doing the organizing we need to build this movement: The people working with women in small towns and cities across the United States to ensure reproductive health access despite the nearest abortion provider being a state or two away. The working women and students on campuses in the big cities speaking out and standing up against sexual assault. The victims who refuse to be victimized anymore and come forward to tell their stories. Our sisters in prisons who refuse to be dehumanized by the system, who have gone on strike to end extreme exploitation and who look to each other to build solidarity behind bars. The anti-war organizers and the people in countries targeted and occupied by U.S. imperialism who resist. The immigrants who face incredible odds, yet walk together and speak together to demand dignity and justice. The transgender people who stay true to who they are despite an epidemic of bigoted hateful violence. We look forward to a day when we are able to march side by side in a powerful display of human solidarity that can push the forces of reaction aside and into oblivion as we build a better world. Support Breaking the Chains magazine on Patreon!